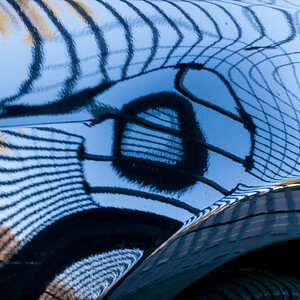 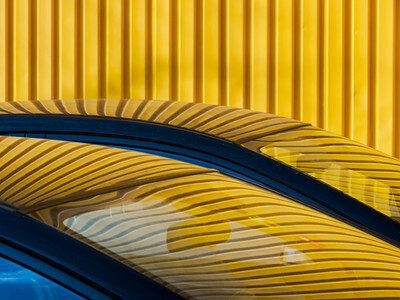 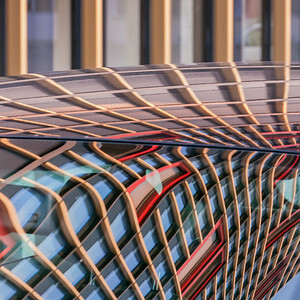 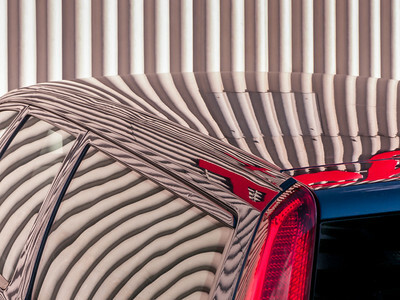 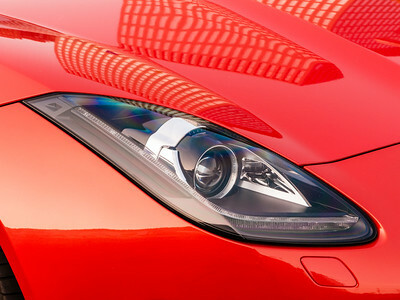 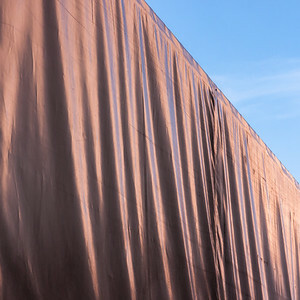 These carcolor photographs show reflections and distortions on the shiny bodies of cars. 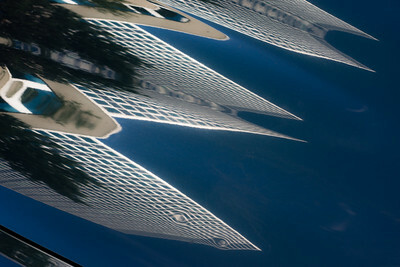 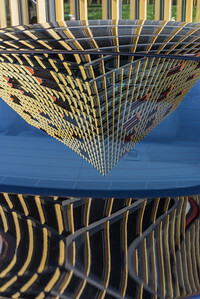 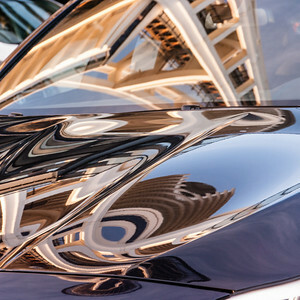 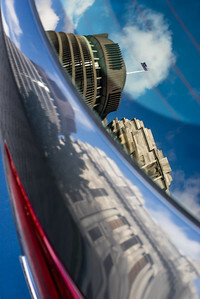 I find it fascinating how the curvy shapes of cars distort and bend the reflections. 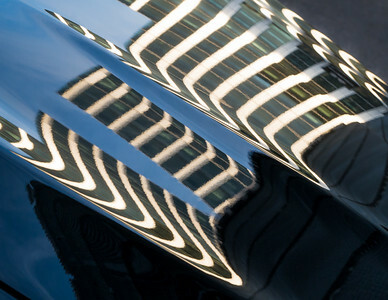 It is also amazing how the slightest change in the viewing angle changes the reflection completely.